How To Speed Up Your Android Device? So, You are frustrated with your slow Android Device? No need to worry you can easily speed up your android device using some simple tweaks. There are many apps on play store who claim of speeding up your device. Such apps consume more RAM of your device. Hence, slowing down your Android device. There may be many working apps on play store which may increase the performance of your Android device, but I will show you very simple tweaks which will Speed up your Android Device without any app or without rooting your Android device. Yes, you heard it right. You don’t need any 3rd party app or RAM boosters and no root access required to speed up your android device. Increase Speed of Your Android Device? Optimize Your Slow Android Device? Let’s not waste further time and start with the tutorial. 1. Open settings and scroll down to open “About” menu. 2. Click 7 times on MiUi version in Redmi Devices and for others click on build number to enable developer options. 3. Go back to settings and click on “Additional Settings” -> scroll down and tap on “developer options”. 4. In developer options scroll down and change the value of “Windows Animation Scale”,”Transition Animation Scale” and “Animator Duration Scale” from “1x” to “0.5x” as shown in the image below. 5. Again scroll down to “Do Not Keep Activities” option and enable it as shown below. This step is optional as if you enable this option, it will destroy the activity of your app as soon as you close that app. 6. Change background process limit to “At most, 4 Processes”. This setting will limit your background process to 4 processes at most. Hence, your RAM consumption will reduce. This will help you boost your android device. “Do Not Keep Activities” and “Background Process Limit” are optional as usage of every person is different. These options may impact your social media notifications. Note: don’t change any other options other than these settings as it may impact badly on your Android Device. Hope this Tweaks Helped You to Improve The Performance Of Your Android Device. If You Feel Your Android Device is Boosted Using This Tweaks, Please Comment Below to Share Your Experience, Thoughts, and Queries. Found This Tutorial Useful? To Get More Interesting Tutorials Subscribe Our Newsletter and Get Notification in Your Email. You can Subscribe Our Youtube Channel Too for Video Tutorials. 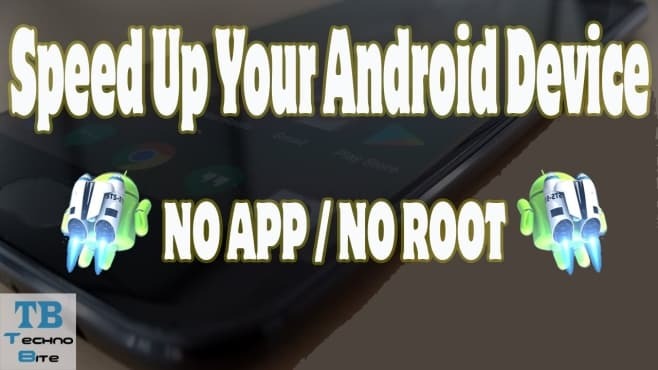 Android Tips and Tricks, Tips and Tricks, Tutorials android tips, android tweaks, increase speed of android device, speed up android device. permalink.